In 1946, a Montreal restaurateur named Frank Roncarelli posted bail for hundreds of Jehovah’s Witnesses who had been arrested after their proselytizing was deemed a threat to public order. Enraged, Quebec Premier Maurice Duplessis, who had declared “a war without mercy against the Witnesses of Jehovah” for how they sought to undermine Catholicism’s grip on his province, revoked Roncarelli’s liquor licence and left him facing ruin. Roncarelli, in turn, sued the premier. Eleven and a half years later, on January 27, 1959, the Supreme Court of Canada ruled in favour of Roncarelli. The court came to the conclusion—long before there was a Charter of Rights—that the premier did not have unlimited power and could only exercise his discretion under the law in a way that respected due process and a duty of fairness. While virtually every law student in Canada knows about this case—Roncarelli v. Duplessis—it now deserves to be more widely known and understood. 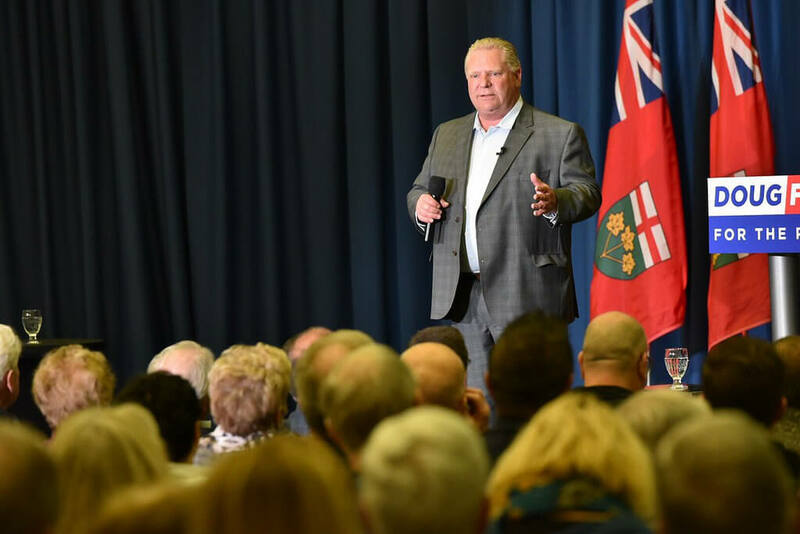 Ontarians are experiencing their own “Roncarelli moment.” Last week, Justice Edward Belobaba struck down the Ford government’s move to cut the size of Toronto City Council by nearly half. Drawing on the Canadian Charter of Rights and Freedoms, Judge Belobaba charged that changing election rules in the middle of an election that was already underway was a breach freedom of expression for the candidates and voters. The premier’s response was to say, “I was elected. The judge was appointed,” and to announce that he will now invoke the notwithstanding clause to override the judge’s ruling and reintroduce his bill for a twenty-five-ward structure. The notwithstanding clause—or section 33 of the Charter—allows governments to create laws that override certain Charter rights they appear to violate. The clause was a product of negotiations between the federal government and the provinces to bring the Canadian constitution home. Regarded as a nuclear option, the override has never been used in Ontario and hardly at all outside Quebec. It has also never been used to bring a law into force that was first struck down in court. This puts us in the middle of a fight that is far more important than the disagreement about how many councillors should sit on Toronto’s City Council. It is about the rule of law, the limits of legislative power, and the respect we should all show for the protection of rights that are there for us all. If a legislature can overrule a court in this case, it could conceivably do so on a range of other issues, from abortion to minimum sentencing to issues affecting the right to organize and freedom of association. That Ontario Attorney General Caroline Mulroney has defended Ford’s use of the notwithstanding clause is equally distressing, because it means the senior law officer of the Crown has decided to side with populists who believe that the whims of an elected official are more important than what any appointed judge thinks about the rule of law. In order for societies to function effectively, they need a set of rules to live by and a legal structure that can ensure order is maintained and the rules are kept. But we also use the phrase rule of law today to mean something quite different from just the maintenance of power and order. It means a respect for principles and obligations that have their origins in a view about human rights and dignity. Both domestic and international law in many different parts of the world are based on the premise that the state articulates and institutionalizes the law, but the laws themselves are rooted in fundamental premises about the rights of persons and groups, so the actions of governments have to maintain those rights. Canada’s adoption of the Charter of Rights and Freedom is rightly seen as an affirmation of these norms—norms that Premier Ford now seems happy to flout. Ford’s apologists can argue that the use of the notwithstanding clause is perfectly legal. But using it in this manner, as a weapon to deal instantaneously and imperiously with a decision a premier doesn’t like, was hardly the intention of its architects (indeed, former premier Bill Davis, present at the negotiations over the Charter and patriation, issued a statement saying he couldn’t support the use of the notwithstanding clause in this case). That Ford has threatened to use the clause again means that the Charter of Rights and Freedoms—a bulwark of protection for freedom, for legal and equality rights—is suddenly on shakier ground today than ever before. Canadians need to appreciate how stark this moment really is.